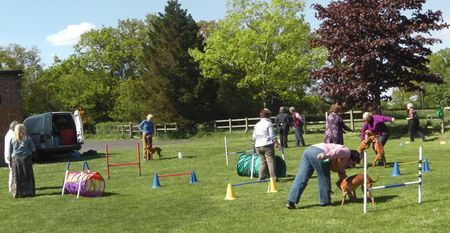 Below is the schedule for our Club Companion Dog Show* which will take place during the Houndshow, with the very first breed classes for the Import Register Hound breeds judged in the morning in the main ring and Any Variety Classes judged in the afternoon at 2pm. 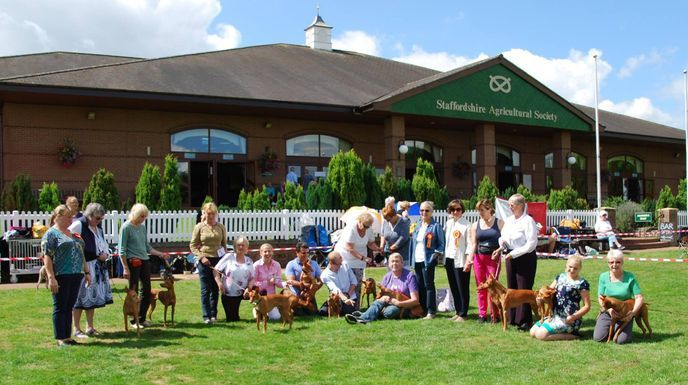 We look forward to seeing many Club members so we can celebrate together the milestone for the breed: the move from the Imported Breed register to the Breed Register on the 1st October. 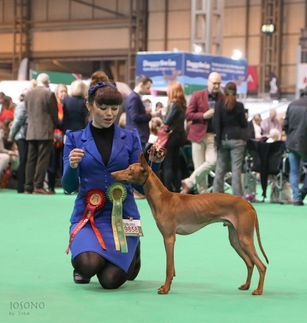 We've just heard formally from the Kennel Club that the Cirneco dell'Etna is to transfer from the Imported Breed Register to the Breed Register. This will take effect on 1st October 2015, and was decided after the Breeds Standards Sub-Committee studied our presentation at a recent meeting. Many thanks to all who have supported the breed since its arrival in the UK in 2001 -- fourteen short years ago! We're looking forward to celebrating this significant milestone at the AGM next week. A reminder that the club AGM will be held this year on Saturday 2nd May, at Earslwood Methodist Church in Solihull, West Midlands B945JP, as advised in the Etna Echo and an email of 17th February. We hope to start at 1130 so it would be helpful if you can aim to be there a little earlier. If you have any items for the Agenda, they must be received by the secretary (secretary@cirnecodelletnaclub.co.uk) by 14th April 2015. Thursday 7th March 2013 was a milestone in the history of the Cirneco in the UK. 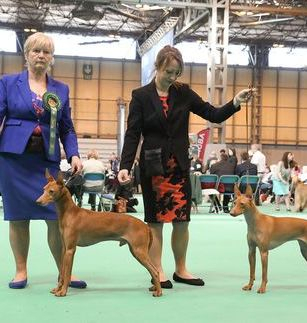 For the first time the breed was show in a class at Crufts. 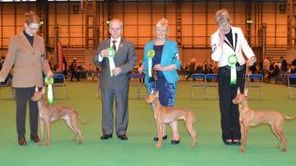 Although it was an Any Variety Imported Register Hound class there were 18 Cirnechi present, an excellent number which will surely help promote the breed with the public and the Kennel Club. There is an album in the gallery section with photos of the breed judging and Discover Dogs booth. 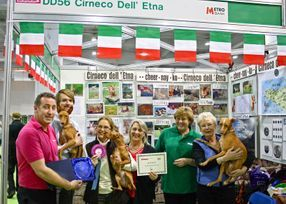 Discover dogs at Earl's Court is over for another year and what a great success it was for the Cirneco dell'Etna stand. We were delighted to win runner up best booth for 2012 out of nearly 200. Many thanks goes to those who brought their Cirnechi and helped out over the two days. 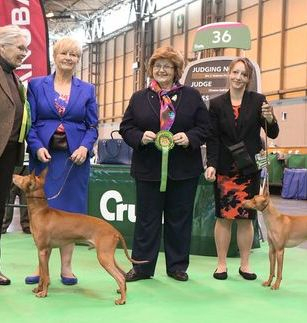 The hard work that goes into the Crufts and Earl's court events has paid off.